Up until today I was certain that the Palm Pre wouldn’t be able to fit into my life. Although the device seemed really fancy and appeared to work very well it was missing one critical feature, it didn’t sync with iTunes. I own an AppleTV and 3 iPods, that means that all of my media hits iTunes before it eventually gets consumed on one of my devices. But, how could I get that media onto the Palm Pre, I wouldn’t want to manually choose music/video to transfer over, not only would that be a hassle but it would also take too much time. But, Palm has changed all of that. When you connect the Pre to your computer the Pre will prompt you asking whether you want to just charge the device, use it as a USB drive, or use media sync. If you choose media sync the Pre will show up just like a regular iPod in iTunes. Now you can mange your music, podcasts, movies, and playlists from iTunes and sync the content just as you would with an iPod. I’m actually amazed by the fact that Palm has done this. I’m just waiting for Apple to respond to it. But, I’m not sure what they can do other than block the Pre by updating iTunes. Then again, I’m not sure if they really would want to do that. If Apple was to block the Pre from syncing with iTunes, every Pre user who uses the feature would be furious with Apple, the negative press would be off the charts. I’m sure Apple will respond, but I don’t know what they can do or if they will even do much at all other than talk about it publicly. On an unrelated note the Palm Pre’s (supposed) default ringtone has leaked, you can listen to and download it here. The Palm Pre will be released on June 6 for $299.99 ($199.99 with mail in rebate). Palm, Inc. – Palm Unveils More webOS Details: Palm Media Sync, Twitter Integration, App Catalog. Image credit to AllThingsD Video. Update 5/29/09: Jon Johansen, co-founder of doubleTwist, says that Palm is likely just transmitting specific USB vendor IDs and USB product IDs to trick iTunes into thinking the Pre is an iPod. He also says that there are likely enough differences in Palm’s implementation for Apple to be able to break compatibility with the next iTunes update. Update 6/2/09: There was some question as to whether the iTunes 8.2 update broke Palm Pre syncing functionality. A Gizmodo tipster claims that Palm Pre syncing does still work. Update 6/2/09: John Gruber has written some fantastic analysis of this whole ordeal. 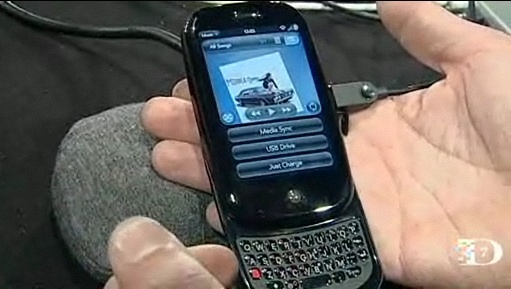 Why Palm’s WebOS ‘Media Sync’ iTunes Integration Can’t Be Legit and More on Palm’s WebOS ‘Media Sync’. Update 6/5/09: Jon Johansen has confirmed his suspicions about how Palm is doing its iTunes syncing, also saying that Apple could easily update iTunes to block the Pre. 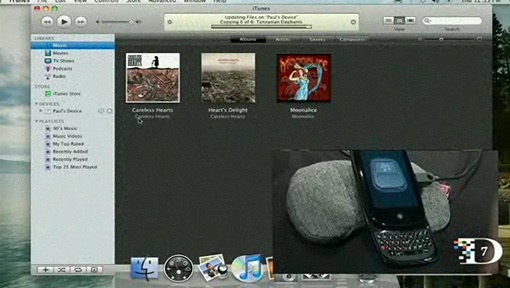 Update 9/9/09: According to forum members over at PreCentral, iTunes 9 breaks media sync on the Palm Pre.